Ayrshire Golf Scotland and it's members look forward to the 2016 season. 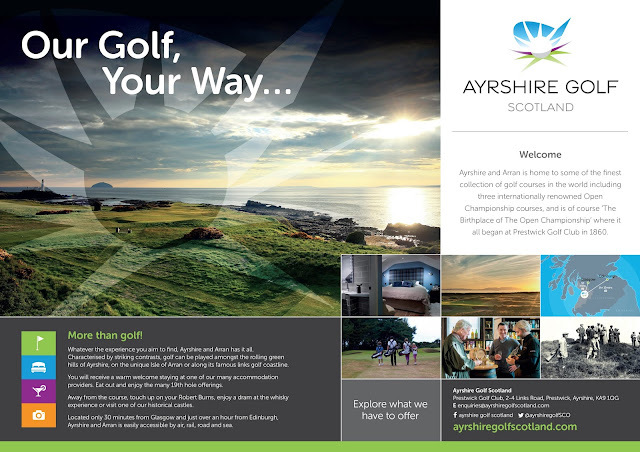 With the return of The Open, hosting the Aberdeen Assets Management Ladies Scottish Open, the fantastic week long amateur event The Links Golf Cup, lots of open golf events like the Ayr Golf Week and the Troon Weekender and of course we all look forward to welcoming golfers visiting Ayrshire for their golf trips in 2016. In 1860 eight men headed to the links of Prestwick Golf Club to see who would become the champion golfer and The Open was born. Prestwick went on to host 24 Open Championships with the last being held in 1925. Fast forward 91 years, with several Opens visiting the Ayrshire coast, we find ourselves looking forward to seeing the like of Mcilroy and Speith, take on Royal Troon Golf Club for the 145th Open. The Open has visited Royal Troon 8 times to date with winners such as Arnold Palmer, Tom Watson and Tom Weiskopf all lifting the Claret Jug on one of the most testing Open rota venues. This year at Troon the R and A have brought some new ticketing into place with early bird tickets available for £60 (instead of £90). Twilight offer after 4pm on Thursday and Friday of the tournament for £25, giving locals the perfect opportunity to take in the atmosphere after work! The 2016 Aberdeen Asset Management Ladies Scottish Open takes place at Dundonald Links from the 12 - 24 July. The event now occupies a prime spot on the Ladies European Tour calendar, sitting just one week ahead of The Ricoh Women's British Open and offers one of the highest prize funds on the tour of 500,000 Euros. The Links Golf Cup Ayrshire is a Stableford Open event that is open to amateur golfers. It is played over a week on four top links courses here in Ayrshire. This years event will take place between 26 - 30 September and will be played over Western Gailes, Dundonald Links, Barassie Links and Prestwick St Nicholas. There is lots of other amateur golf weeks and weekends throughout 2016 including The Ayr Golf Week and The Troon Weekender combining both links and parkland golf challenges here in The Birthplace of The Open. Looking to organise a golf trip with friends or family? The perfect way to take advantage of golf in the region is to explore the golf passes that are available. Whether its golf on a budget or playing the championship courses, there are plenty of passes to suit your budget and experience. We look forward to seeing you in Ayrshire in 2016!